where they can easily become the hunted! it is time to preach the gospel of sanity! A qualified primary school teacher, Cosmas Mairosi was born in Mudzi and grew up in the rural area of Rusape in Manicaland province, Zimbabwe. 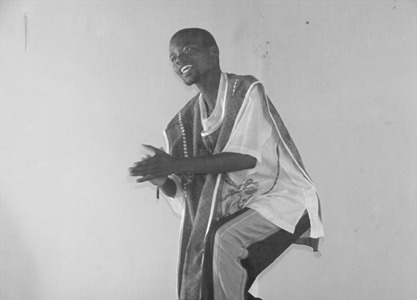 He is a performance poet, writer, arts trainer in children’s performing arts, vice chairperson of Budding Writers Association of Zimbabwe (BWAZ)’s and a member of Global Arts Trust. He has published poems and short stories in Writers Scroll, Teacher’s Voice and New Voices magazines and is featured in an international anthology CHE IN VERSE published by Aflame Books. A compilation that includes two Nobel Prize Laureates and Allen Ginsberg. Cosmas has also published in State of the Nation, Contemporary Zimbabwean Poetry, an anthology of Zimbabwean poets. He has been broadcast on ZBC radio, television and BBC radio and television and has performed at the Zimbabwe International Book Fair since 2003, HIFA-Spoken Word. His international debut was at the ANTUSA Games (10-14 April 2008) in Francistown, Botswana, which was a festival of SADC Teachers Unions. Cosmas Mairosi won first prize in the House of Hunger Poetry Slam at the Book Café and has twice been an International Society of Poets finalist. He has taught performance poetry and facilitates performance poetry workshops. Cosmas performed at Speak the Mind 2010 at the Artscape in Cape Town South Africa.